Hard to believe, but in five days, my book will be released. 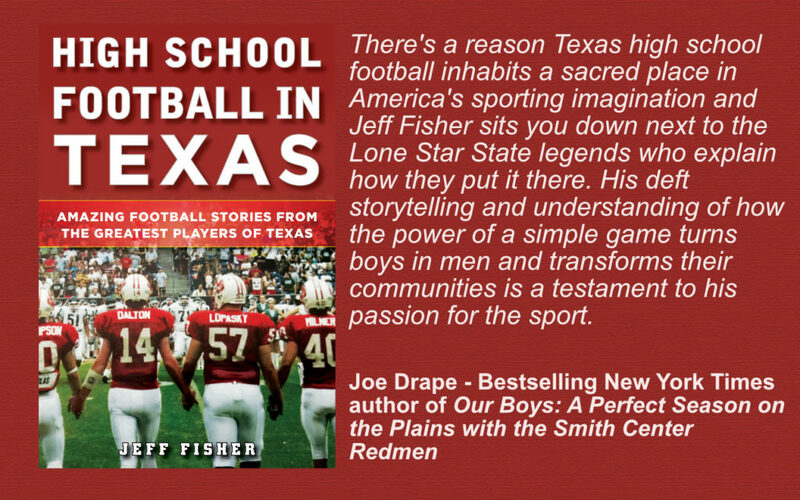 My #txhsfb book table of contents. A Who's Who in my first book. I’m very proud to have bestselling high school football authors Joe Drape and Drew Jubera read my book. Below you can read what they have to say about it. You can pre-order the book so you receive it on September 4th at Amazon and Barnes and Noble.